From about ages two to eight, vitamins were fun. Wilma, Fred, Betty…every day was a game to see which Flintstone character you got to eat up. And then you grew up and vitamins just got annoying. Until about three years ago, when basically every supplement company started swapping capsules for gummies. Whatever nutrient you’re considering supplementing, there’s probably a gummy version of it. Probiotics. Fiber. Vitamin C. Magnesium. Even adaptogenic gummies. Vitamin time is fun again, just like when you were a kid. However, those little guys taste good. A little too good. In fact, it’s hard to stop at just one. So what would happen, say, if you had five instead of one? Or, um, 20? (Not that I’ve ever done that or anything…) I talked to some experts to find out. 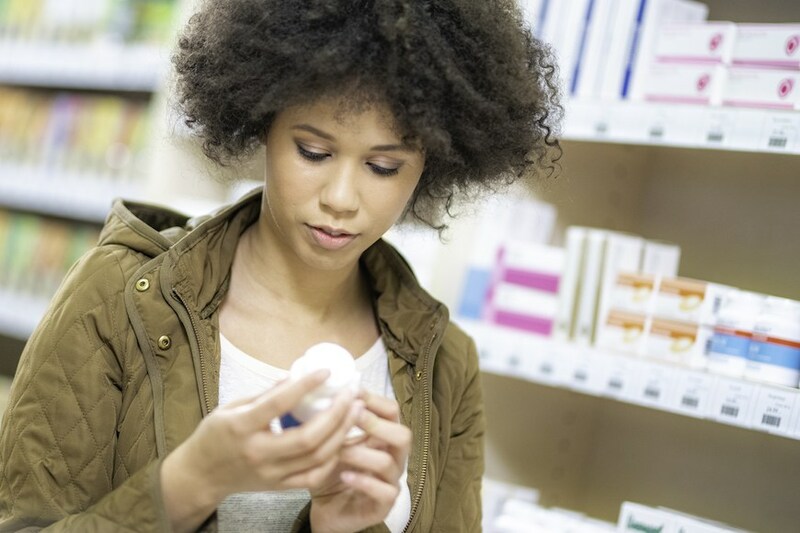 Let’s just get something out of the way: Everyone who is taking a supplement should be following the directions on the label (or the instructions their practitioner provided). Your body can only handle so many vitamins at a time (more on that in a second) so the “serving size” on the label really does matter. Popping a few too many gummy vitamins every so often likely won’t cause any serious harm beyond some unpleasant digestive issues, says integrative health expert and Superwoman Rx author Taz Bhatia, MD. However, in rarer cases, downing your whole supplements jar can have pretty unpleasant and even potentially dangerous effects on the body. Dr. Bhatia says that eating too many fiber or magnesium gummy vitamins can cause diarrhea. Too much vitamin A can cause liver damage, excess vitamin D can cause calcium levels in the body to reach toxic levels, too much vitamin E can increase risk of, well, death, and getting too much vitamin K can lead to bleeding in the gastrointestinal tract. All of these same risks apply with capsule supplements too—it’s just easier to get too much from gummies because they’re admittedly easier to take than a big horse pill. This doesn’t mean you should be freaked out by all gummy vitamins—many manufacturers (like supplement company Olly) know that people might accidentally overdo it on gummies, so they factor that into the development process. “Our ingredients are chosen based on reviews of research around each chosen active ingredient to provide benefits at the most appropriate dose and also reflecting safe forms and levels,” says Nancy Steely, the brand’s director of science and innovation. “We also take into consideration that people may be taking several of our products at once, so we carefully consider each ingredient and how it is already reflected in the product line to be sure someone isn’t getting ‘too much of a good thing.’” Still, she recommends that people follow the directions and remember that these are dietary supplements, not candy. It’s also important to remember that gummies commonly have sugar and glucose syrup added to the ingredients list. There’s a reason why they taste so good! “Glucose is pure sugar,” Dr. Bhatia says. “So then you have to start worrying about what the gummy vitamins are doing to your teeth and enamel.” If you’re counting the sugar in your gummies toward the total sugar you’re consuming for the day, Dr. Bhatia says it’s totally fine to continue your gummy vitamin habit. Just keep that in mind as you take them. So yes, you can go overboard on vitamins—which is why it’s important to remember that not everyone should be supplementing with every kind of vitamin. “The first step is working with your doctor to identify what you’re actually deficient in,” Dr. Bhatia says. In other words, don’t just pop a vitamin D gummy because your coworker is taking one and passes the jar over to you; you may or may not need it. Generally, she says bloodwork at a doctor’s office is required to fully understand what kinds of deficiencies a person has. Here’s the bottom line: For the most part, gummy vitamins are totally safe, *as long as* you’re only taking vitamins you actually need, stick to the recommended amount, and are conscious of the sugar content. Stick to those guidelines and your grown-up Flintstone vitamin replacement will serve you just fine. Speaking of supplements, here’s a guide to the best time of day to take your vitamins. Plus, some tips on choosing a probiotic.